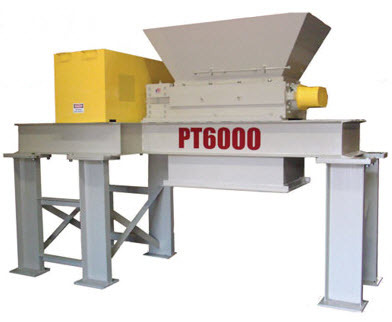 With years of experience behind its development, the PT-6000 Tire Shredder is the toughest and most economical passenger tire shredding system available. This powerful dual-shaft shredder easily handles whole passenger and light truck tires with output shreds down to 1 inch. 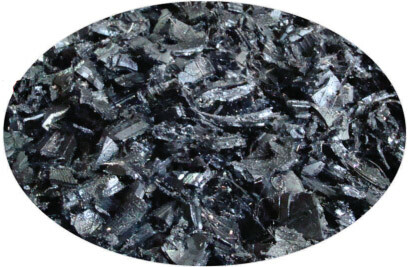 Applications include producing tire shreds, tire chips, pre-processing for crumb rubber and tire derived fuel (TDF). Various degrees of wire removal are possible with special knife designs and screening. 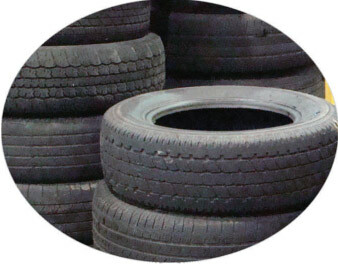 The PT-6000 has a production rate of up to 6,000 lbs per hour from whole tires down to 1" nominal chip size. Capacity of up to 11,000 lbs per hour in 2" chips. Available in single shredder systems or dual systems with primary and secondary shredding units. The PT-6000 is the highest capacity tire shredder on the market today for the cost!